More than 4,000 working poor households across the state will lose their child care subsidies in the coming year as a result of budget cuts to Washington WorkFirst, the state’s temporary assistance program. Crystal Watkins, of Spokane, depends on the subsidy, called Working Connections, which helps provide safe child care for her two children while she works. Watkins now works 40 hours a week for a local bank, and earns less than $2,671 a month, 175 percent of the federal poverty level, which qualifies her for Working Connections help with child care. 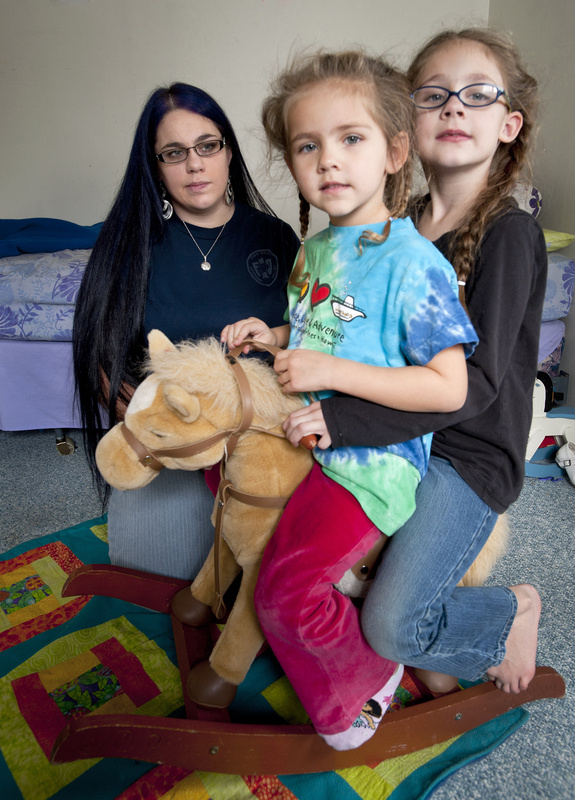 She pays $344 a month for full-time child care for her 4-year-old and part-time care for her 6-year-old kindergartner. The state pays the remainder of the cost of the family’s child care, which is nearly $900 a month. But beginning Jan. 1, the state will restrict the eligibility for the program to households making less than 150 percent of the poverty level, or $2,289 a month for a family of three. This means Watkins and 4,114 other Washington families will lose their child care subsidies as they come up for reauthorization next year, said Amy Blondin, a spokeswoman for the Department of Early Learning. The reduction is intended to save the state about $31.6 million from the $300 million spent on the program in 2010 as Gov. Chris Gregoire orders an across-the-board state budget cut of 6.3 percent. “This really is penny-wise and pound-foolish,” said Joel Ryan, executive director of the Washington State Association of Head Start and Early Child Education and Assistance Program. The new cut to Working Connections follows a reduction in October, in which the eligibility requirement was lowered from 200 percent to the current 175 percent of poverty level, resulting in 2,500 families losing their subsidies. More than 37,000 Washington households a month are helped by Working Connections, Blondin said. In June, more than 3,900 families relied on the child care subsidies in Spokane County. “We know these cuts are going to be hurtful to families,” Blondin said, but they reflect the state of an economy in which the number of people needing help continues to rise even as the funding to support them dries up. In a letter to WorkFirst employees this week, Susan Dreyfus, the secretary of the Department of Social and Health Services, warned that additional cuts of $25 million may be necessary.